response from property - Apr 01, 2019 Thank you Tyra, we appreciate the review. Please let us know if there is anything we can do to bring this up to a 5-star rating and we'd be happy to help! Nothing terrible to saysubmitted by Amber A. - Jan 11, 2019 |Recommended: YesI don’t necessarily have anything bad to say. I do think that there needs to be a lot of updating to the apartments to bring them up to today’s standards but I didn’t necessarily have any issues that weren’t easily fixable. I give the staff 5 stars everyday, they are all nice, genuine and amazing people. If everything got updated the community would give 5 stars as well. Great Place to Livesubmitted by Ashley B. - Dec 17, 2018 |Recommended: YesThe apartments and grounds are well maintained. All of the staff are extremely helpful and professional. I always feel safe walking my dog outside at any time of day, and all the residents are friendly. It’s all around a great place to live. response from property - Jan 10, 2019 Thank you Ashley! We appreciate you taking the time to rate our community and are glad to hear you are enjoying your time here! Please let us know if there is anything else we can do for you! Love it. very clean. Plenty of light at night while walking dog.submitted by Anna I. - Nov 13, 2018 |Recommended: YesI love living here. The property is well maintained, the staff is super responsive to questions concern and respond immediately to maintenance issues. Very well lit at night when walking my dog. My only issue is that i can here every step of my upstairs neighbors and their conversations, but i does not make my dog bark. Other than that, i really love my apartment. response from property - Jan 10, 2019 Thank you so much for the feedback, Anna. We are pleased to hear you've enjoyed your stay, and if noise ever becomes an issue for you please be sure to let us know! response from property - Jan 10, 2019 Thank you Holly! We are so glad to hear that we've been able to take care of all your needs. Please let us know if there is anything else you need and we'd be happy to help! Mediocre at Bestsubmitted by Morgan D. - Oct 19, 2018 |Recommended: NoThe rent is “decent” for the space. The apartment fixtures are below what I would think “standard” to be in 2018. Maintenance will fix, but the quality of repair - you will call again, rarely is it within 24hrs and there is no communication from the staff as to if they will be late. Fitness center is bare bones but doable. All in all, they could do better across the board. response from property - Jan 10, 2019 Thank you for the great review, Danielle! We appreciate the feedback and hope you continue to enjoy your stay here. Please let us know if there is anything else we can do for you! Great place to start.submitted by Bradley H. - May 31, 2018 |Recommended: YesI really enjoyed living here. Grounds are properly maintained, very friendly neighbors and knowledgeable staff. response from property - Jun 04, 2018 Thanks for the great review; we're glad to hear you love it! LOVE IT submitted by Robert M. - May 21, 2018 |Recommended: YesI love that everyone was super welcoming upon moving in, and there is an actual sense of community. response from property - May 22, 2018 Thanks, Robert, we're so glad you think so! We love having you here and hope you always feel right at home! It's a quiet neighborhood submitted by Jessica M. - May 04, 2018 |Recommended: YesIt's a quiet neighborhood. Great for small families. response from property - May 14, 2018 Thanks for the 5 star rating and great review, Jessica! We're happy to hear you are enjoying it! response from property - May 04, 2018 Thank you, Victorine! We appreciate you taking the time to rate our community. Please let us know if there is anything else we can do for you and we'd be happy to help! Great neighborhood, great peoplesubmitted by Jacquelyn F. - Apr 27, 2018 |Recommended: YesOverall a good place to live, maintenance is always fast and responsive, office staff are very nice and helpful. Great area, everything you need is a quick drive away. Can hear upstairs neighbors walking, thin walls between apartments. response from property - Apr 30, 2018 We're sorry to hear you've had trouble with noise, Jacquelyn. If this is something you would like to discuss in further detail, please give our office a call. Otherwise thank you for the overall great review! response from property - Apr 18, 2018 That's great, Tamala! We appreciate you rating us so high and the nice things you had to say. Please let us know if there is anything else we can do for you and we'd be happy to help! This is a nice Community.submitted by James S. - Mar 12, 2018 |Recommended: YesNice relatively quiet community.  The apartment is laid out efficiently and has what you need everyday. Maintenance is prompt. Well maintained landscape. Floor above squeaks and you hear that. Rarely hear footsteps. All in all I like living here. response from property - Mar 13, 2018 Thank you James! We appreciate the awesome review and nice things you had to say about our community and staff. Please let us know if there is anything else we can do for you. response from property - Feb 23, 2018 Thanks Jimmy! We hope you continue to love it here, and please let us know if there is anything you ever need!